Jewell Alene Burks, longtime Cushing resident, passed away on Monday, February 22, 2016 in Drumright at the age of 87 years. The daughter of the late R.J. Frankford and Bessie B. Jackson Frankford, Alene was born on July 5, 1928 in Grimes, Oklahoma and was raised and educated in Reydon, Oklahoma, graduating from Reydon High School with the class of 1945. She was united in marriage to Charles Burks on May 21, 1944 in Reydon, Oklahoma and to this union two daughters, Darla and Sandrea, were born. Charles preceded her in death on March 6, 1989. For a number of years Charles and Jewell owned and operated the Country Grocery Store in Dempsey, Oklahoma. In 1976, upon Charles retirement from Halliburton, the couple moved to Cushing. Alene had worked as a bookkeeper for C.R. Anthony store, in Cushing, for over 27 years prior to her retirement. Alene was a longtime faithful member of the First Baptist Church and for several years she served as the church hostess. Jewell dedicated a number of her summers to serve as the church camp cook at Falls Creek. She enjoyed canning, photography and spending time with her family, especially her grandchildren and great-grandchildren. Surviving include her two daughters, Darla Hoggatt of Cushing and Sandrea Hough and her husband Larry of Goodwell, Oklahoma; three grandsons, Lance Hoggatt and his wife Amy, Mickey Hoggatt and his wife Ashley and Brian Hough; seven great-grandchildren, Bryce Hoggatt, Rylee Hoggatt, Alayna Hoggatt, Alexa Hoggatt, Hallee Hoggatt, Adyn Hough and Madyx Hough, and many other relatives and friends. In addition to her parents and husband, she was preceded in death by one son-in-law, Terry Hoggatt. Funeral services will be held Friday, February 26, 2016 at 10:00 a.m. in the First Baptist Church with Pastor Keith Moore and Mickey Hoggatt officiating. Burial will be held Saturday, February 27, 2016 at 1:00 p.m. in the Dempsey Cemetery in Dempsey, Oklahoma. 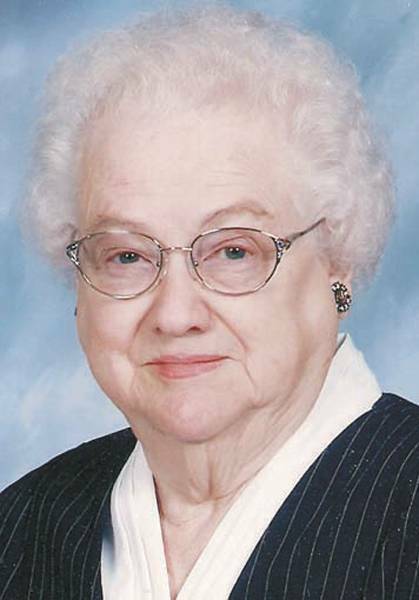 Memorial contributions may be made to the First Baptist Church building fund in her memory. You may share your condolences with the Burks family at www.davisfh.net.